Indian market regulator SEBI has allowed seven Alternative Investment Funds (AIF) to set up shop in the country under a newly formulated route, which allows pooling of funds for investments in areas such as real estate, private equity and hedge funds. Alternative investments are not a new concept but seems to be gaining momentum, I did a story in March 2012 under the heading ART TREATED AS AN ALTERNATIVE INVESTMENT .Would like to evolve on those terms, Lets face it : The financial crisis seemed to mark a turning point in the spectacular growth of alternative investments, such as managed investments in hedge funds, private equity, real estate, commodities, and infrastructure. Poor performance and liquidity problems led to massive redemption in several categories. By now, however, those problems have subsided,and alternatives are back on track. The recent surge in alternative investments looks set to continue. Institutional investors currently have about $24 trillion under management globally (excluding defined contribution). These investors expect that by year-end 2013, their allocations to alternatives will hit 25 percent, up from 23 percent in 2011. Investment behavior is diverging. Smaller, less experienced institutions are staying the course with diversified multi-asset-class funds of funds. Larger, more sophisticated institutional investors increasingly put their money directly in hedge funds or are bringing management in-house. Alternatives are moving quickly into retail investment portfolios (exhibit). By 2015, retail alternative investments are expected to account for one-quarter of revenues and a majority of revenue growth. 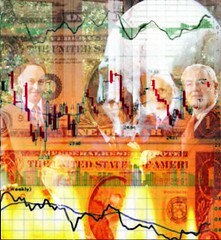 Just to let you describe the alternative investments includes Absolute – return Funds, Commodities, Currency Trading, Dedicated short-bias investments, Equity energy funds, Leveraged strategies (both long and inverse), managed futures, market neutral funds,multistrategy alternatives, options arbitrage trades, volatility strategies, and investments in natural resources, precious metals, and real estate; these investments exclude distressed debt.